Vote to decide who of the top Olympia contenders looks best from the SIDE! Two weeks ago, we asked you to decide who has the BEST BACK of the 2011 Olympia contenders and the votes are all in! Phil Heath ran away with the vote and its no surprise after watching his back workout here at FLEXonline (Click here to see PHIL HEATH TRAIN BACK 9 weeks out from the Olympia). 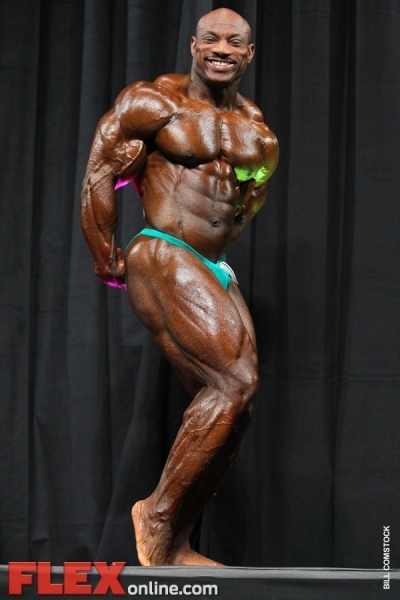 For second place, Kai Greene edged out reigning Mr. Olympia Jay Cutler by only 50 votes. Click here to see KAI GREENE TRAIN BACK 7 weeks out from the Olympia. In a distant fourth place, Victor Martinez edged out Branch Warren (5th). 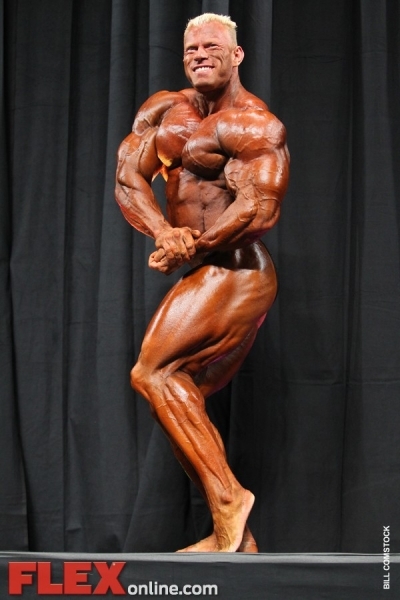 Dennis Wolf came in 6th, Dexter Jackson 7th, and Ronny Rockel 8th. While the back poses are often the deciding shots, a back alone does not make an Olympia Champion. So today we are going to look at all the top contenders from the side. Below you can see the side chest and side triceps poses from all the top contenders for the 2011 Mr. Olympia: Cutler, Heath, Greene, Wolf, Martinez, Jackson, and Rockel. While we all wait for September 17 to find out who will be the next Mr. Olympia, here is YOUR chance to vote for your favorite. Just scroll down, pick your favorite, and then hit the vote button at the bottom!!! CLICK HERE FOR ALL OF FLEXONLINE’S EXCLUSIVE OLYMPIA WEEKEND COVERAGE! 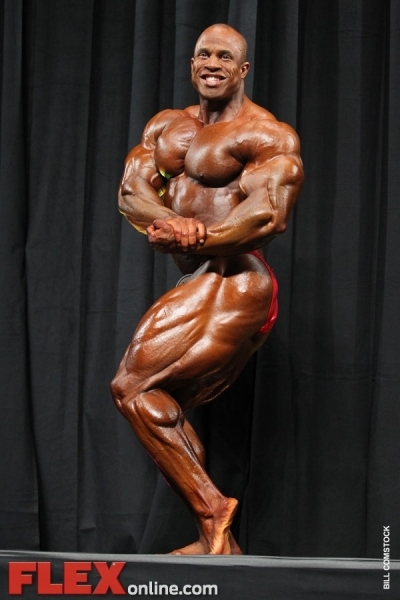 Who do YOU think looks best from the SIDE of the 2011 Mr. Olympia contenders? Who do YOU think has the best back of the 2011 Mr. Olympia contenders?